US Army Spc. 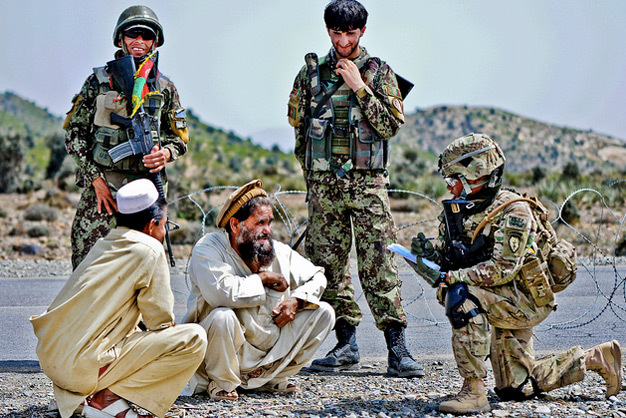 Shawnte Rollins (right), a native of Elkhart, Ind., and part of the female engagement team, and Afghan National Security soldiers collect information from motorists passing through a temporary control point set up at the Chenigai Pass in Bak district, March 30, 2012. Delaware Company is part of the 1st Battalion (Airborne), 501st Infantry Regiment, Task Force Blue Geronimo. Photo by the US Army.